Microsoft’s Konsoles program is back at it. 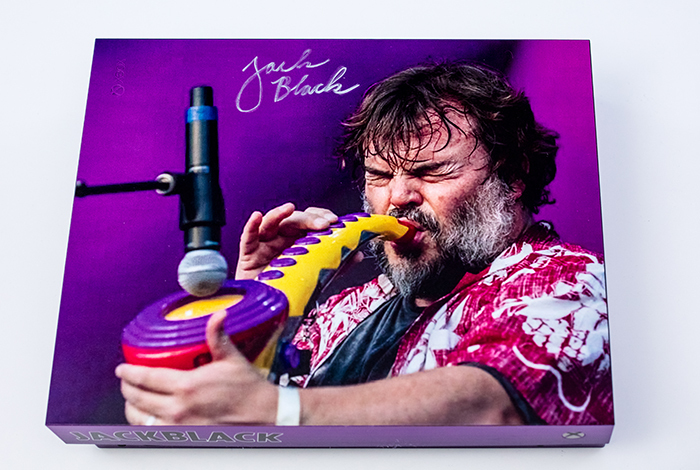 This Make-A-Wish initiative has some choice options this year; I’m especially partial to the custom Jack Black Xbox One X! This year is set to be the biggest ever. 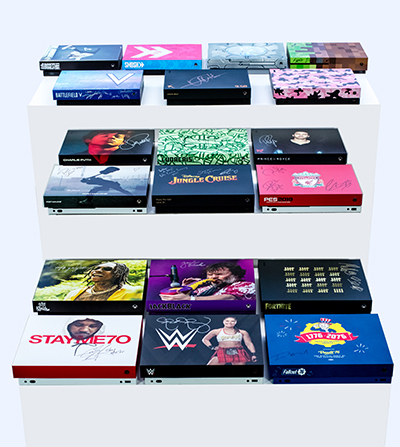 Microsoft and Make-A-Wish teamed up for the 2018 “consoles for kids” Charity Auction. Then they assembled multiple consoles for customization and signage by celebrities like Jack Black, Wiz Kahlifa, Ninja & Marshmello, Dwayne “the Rock” Johnson, Ronda Rousey, and Carmelo Anthony. Some developers got in on the auction as well, with custom Battlefield V, Minecraft, and Rocket League consoles (to name few). All available to be purchased starting today. Awesome! The auction ends on October 3rd, with all proceeds going to the Make-A-Wish foundation. To learn more, go to charitybuzz.com/makeawish.